Today everyone is crazy for government jobs because all of us think that government job is only the way to make our life successful and cheerful. But most of us feel difficulty to search govt job vacancies to apply for them. So, don’t worry, this article provide you some websites that will help you to find govt jobs in India. In reality, these sites are not government websites instead these all are personal blogs that make you aware of latest and hot govt job vacancies in India. So, have a look on these top 10 sites to search for sakari naukari in India. GvtJob.com is one of the good websites to search for latest government jobs in India. Here not only jobs but you can find the exam syllabus, admit card dates, result notifications and much more. 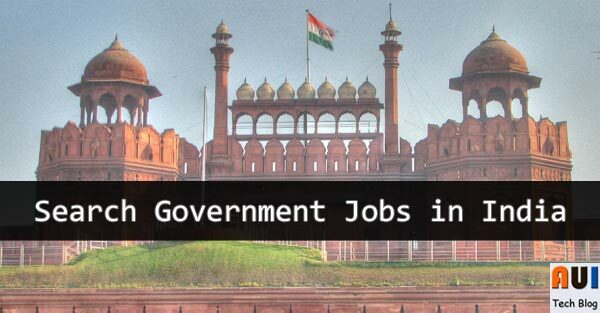 Job Sarkari is one of the best websites to search latest government jobs in every sector. It’s fantastic site design makes it easy to navigate jobs in different sector. Other than jobs, it also offers exam results, admit cards and syllabus of different competitive exams to help candidates get succeed. Here you can get different job alert by visiting this web link. It is also an Indian website divided in different categories to find jobs. There are various categories like State govt jobs, Bank jobs, IT jobs, Railway jobs etc. Sarkari Naukri Blog is a fantastic website to find latest and hot govt jobs in India. It looks in a roughly manner but contains useful and valuable content of your purpose. So, I hope you’ll like this sarkari naukri blog. Employment news is an another government job news website to make you aware of latest govt job vacancies. You will find all Indian vacancies at Employment news. It is very old site launched in late 1976. It is an India website to find different govt jobs of India. You can search jobs by selecting your appropriate field in this website. Some of the fields are PSU jobs, State govt jobs, Bank jobs etc. It is just like a search engine for all types of job vacancies. Here you can find different types of jobs by selecting your location and job category etc. You can register this site to get latest job news. Recruitment Carrier is a blogger blog but now taken it’s own domain name. It is good site to search govt jobs and many competition exam results. It is a great website to search for govt jobs in India. You can also find latest jobs by affiliate companies. It is a big portal of Indian job news, so you can use this site by selecting your appropriate city and language. Indian Govt Jobs is an Indian website. It is good looking and attractive. You can find latest govt jobs for Indians on this site. Here is also different categories are divided to make your work easy to find current jobs in different fields. Some of the categories are Army, Indian Railway etc. That’s all guys. I hope these websites will be helpful for you to find the latest government jobs in India. And all the best for your bright future. Thanks For the best web-sites for Government Jobs in India. Thanks sir, I will bookmark some of these websites to stay connected with the latest government jobs emerging in India. Sure! All of them are very useful for freshers to find latest govt jobs in India. thanks for information but know www[dot]livelatest[dot]in is most popular website in this field. Jobreset[dot]com is the best job sites in india, which helps you to find job for job seekers. There are many sites for job search but jobreset is a good site, I have used this site Really its very helpful to get job. Hello Raman Sir, thank you so much for creating this helpful list of government job sites but I would like to say that you could have listed another one https://sarkarinaukripesa.com/ because it is one of the fastest growing sites like that and helping around 5000 Indian students per day. Robinsh, Sorry for late reply but honestly glad to know about this one. Melvin, glad to know about it. Nice article review on the best Govt. job sites, Good Job by Admin. Glad to know about Jobinfoz. Thanks for sharing with us. I am glad in particular coz that you shared this brilliant website information with us. This is really more than nice for Govt. job seekers in India. However, i would request all the potential readers here to follow my own venture https://www.puzzleduniya.com/ which is only idealized for the sole purpose of helping all the competitive job-seekers across the country with very authentic study materials for their exams in LIC, SSC, IBPS, PSC, and other in corporate places. Thanks for list of best job sites but I think you missed Wisdom Jobs, a 4th generation job portal in India for job search. Very Nice information, One more good website Ariseter. Very Nice effort. They are the top websites for government Jobs updates. I started my own blog ExamAffair.Com to provide latest update on Government Jobs. Thank You. Keep sharing this type of blogs. Fresherslive.com is also one of the leading govt jobs website. Along with these sites careersplus.in is also one the best site to check the latest updates of Govt, private, part time and full time jobs of all states in India. This is awesome job list and a great jumping off point for anyone looking for a job. 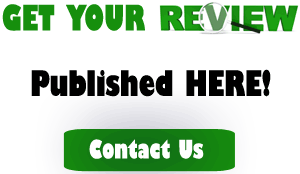 we work for Lkshya.com, which is India’s first knowledge sharing center to showcase your potential. Helping job seekers who are looking to create a stimulating career in the software industry. We just launched our IT job portal site and have an extensive list of IT Fresher jobs in each city. For anyone looking for make a career in Software industry, we can be a great a resource https://lkshya.com/job.jsp. It’s my pleasure to see you here Vandana. Thanks to share this job portal with our readers. Great collection of govt job portal websites. I would suggest careersplus.in which is one of the best websites providing info govt and private jobs for job seekers in India. Wow really nice blog. Looking forward to read more effective information by your blog, keep sharing. Have a look at sarkarinaukripark(. )com also if it could help in any means. Its our new job portal website papunay(. )com This website is build with a vision to cater the unemployed and career aspirants in the best possible way to exterminate unemployment. #1GovtJob genuinely deserves the rank. There are other websites like freejobpoint.com where you can explore govt job opportunities. Overall, very informative post dear. Keep sharing such updated posts. You are very correct. Freejobpoint.com is one of the best government job notification website. Good Information. But You Forget Recent Time Simple and Smooth Website thegovtjob.com for latest govt jobs and sarkari naukri in India. Thanks for your suggestion. We’ll check it out for sure. Thank you for the great info. Recently, I’ve seen a website indjobs4u.in that proving latest Govt Jobs. Please write more articles on government jobs. Your website is very useful for everyone. Hi nice article but you missed two sites paperquestion.com and sarkariresult.com popular for latest updates of government jobs. Visit Sarkariguy.Com for latest government recruitment notifications. Nice Information. Thanks for sharing. Their are other website you can visit for Govt Jobs. But this is the Best list. Thank you and keep Updating more.